Information Assurance (IA) is the practice of assuring information and managing risks related to the use, processing, storage, and transmission of information. While focused dominantly on information in digital form, the full range of IA encompasses not only digital but also analog or physical form. Information assurance as a field has grown from the practice of information security, which in turn grew out of practices and procedures of computer security. IA also is best thought of as a superset of information security, integrating people, technology and operations to establish security and protection across multiple layers and dimensions. 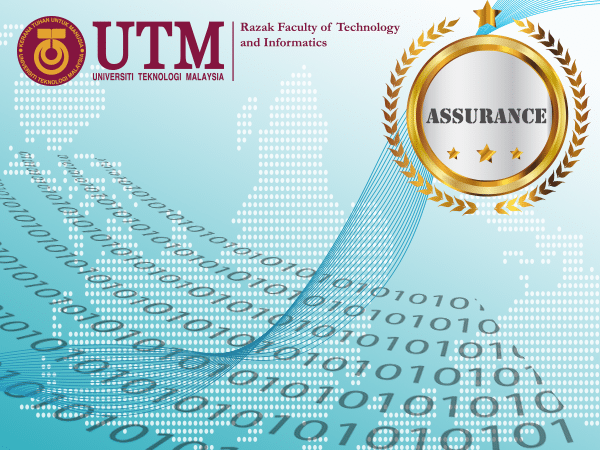 The MSc (Information Assurance) programme offered by Razak Faculty of Technology and Informatics will be the integration of digital forensic science, security engineering, IT risk management of management systems and standard compliance towards a safe and secured information society against emerging threats. Practice in-depth and specialist knowledge of Penetration Testing and Network Security to effectively assured information security in organizational. Evaluate situations and react and display through discussion and communication among peers and others. Integrate information assurance professional ethics in the profession, organisation and society. Organise and adapt contemporary knowledge independently and manage information effectively and securely. Demonstrate managerial and enterprising skills. Pass all courses with a total accumulated credit of 45 and pass CGPA of 3.0 and above.